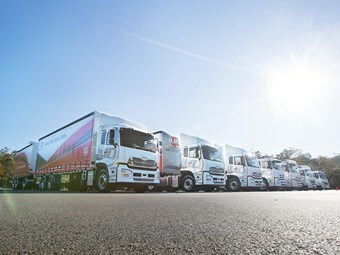 As part of UD Trucks’ celebration of 80 years in operation, its Australian division put on a showcase at Queensland’s Mt Cotton Training Centre in late July when seven of the Japanese manufacturer’s units were made available for customers and dealership personnel. 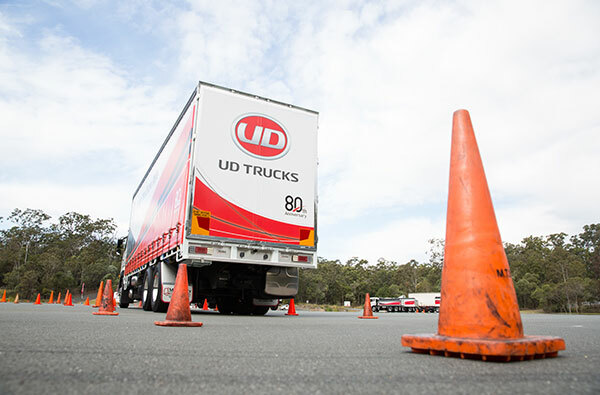 It was also an opportunity for UD to host its inaugural UD Trucks Extra Mile Challenge, not unlike its stablemate Volvo’s Drivers Fuel Challenge. 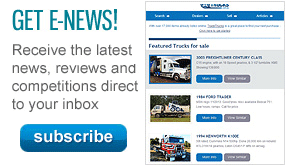 The truck line-up on show ranged from the Condor MK 11 250 Condor up to the Quon GW 26 420. In between were a couple of newbies, the PD 24 280 and MK tipper, both of which debuted at this year’s Brisbane Truck Show. However, the buzz around the tree-ringed Mt Cotton track was the first ever Australian appearance of the 6x2 Quon, complete with a lazy axle. Known also as the CD 24 380, the locally adapted prototype is UD’s attempt to up the ante against the 6x2 plus 40-tonne GCM market which the Europeans are dominating. Locally adapted from an imported 4x2, the 6x2 Quon comes with a GH 11 series 380hp (283.4kW) engine and a 12-speed Escot V transmission. UD is aiming it at the intrastate and urban delivery market, with the advantage that the 6x2 will deliver better economy than a 6x4. 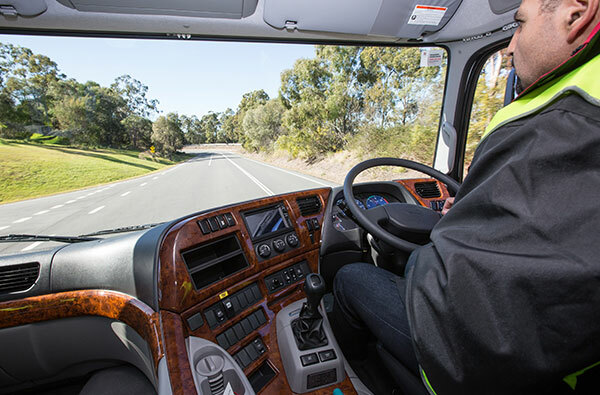 UD Trucks product manager Ben Chamberlin says the prototype cab-chassis Quon has already passed Australian Design Rules for brake and compliance. The next step is to wait for demand. "We’ll go back to Japan, and if we can get the volume out of the dealer network and some commitment on some volume, I’ll be pretty confident we can get a project going for this," he says. "It’s 45-tonne GCM, that’s the main advantage for it. Really in that segment the competition is European, so DAF, Scania, Mercedes-Benz … Volvo has some opportunity in that segment as well." However, Chamberlin says price wise, the UD will be well away from where Volvo competes. "Obviously the GCM gives us an advantage that we’ve got a differentiator in that marketplace from the 42-tonne. "At 45-tonne we’re able to open up a little bit more and spread us a bit further away from Volvo." Naturally, UD wants to avoid going into direct competition against its Volvo Group Australia stablemates, hence the reasoning behind ditching the 13-litre GW 470 Quon, the last of which was sold a couple of months ago. It leaves the 420 as UD’s biggest product, until Euro 6 kicks in anyway. The Quon GW 26 420, with its GH11 engine and 12-speed Escot V two-pedal automated manual transmission (AMT), has been around for a couple of years now. Like its Volvo big brother, it comes with hill start aid, perfect for testing out on Mt Cotton’s undulating circuit. It’s 11-litre 420hp (313kW) engine boasts 1,600ft-lb (2,169Nm) of torque, although Volvo recommends driving it in ‘economy’ mode, which delivers torque figures between 1,000 and 1,500 for those seeking the best fuel efficiency. "We are a multi-brand company with a multi-brand strategy," Volvo Group Australia managing director Peter Voorhoeve says. "We have Volvo, Mack, UD and Renault." "In the set-up that we have in Australia, it didn’t make too much sense to have the 13-litre engine in the UD offering. "With the offering that we have today, if you take Mack, Volvo and UD together, we have a complete offering. So every customer can pick what he wants. "What I would like to avoid as much as possible is internal competition. "Of course there are a couple of applications that you can do with a 13-litre UD that you maybe cannot do with a Mack or with a Volvo. Those are very small segments which unfortunately we have to step out of," Voorhoeve says. "But we are convinced we can offer everything to our customers for all different applications, but maybe not from the same brand." While the 6x2 Quon attracted its fair share of interest, UD happily spruiked the capabilities of its MK tipper, available both in 6-speed manual, or the 5-speed Allison auto. While traditionalists may stick with the manual, the easy driving auto is certain to be the popular pick. "If you hop out of one into the other, you’ll see that we probably won’t sell too many manual transmissions in Australia," UD Trucks vice president of sales Jon McLean says. "With that Allison transmission, it’s like driving a car." Both the manual and auto versions of the MK 11 250 tippers were put through their paces, hauling and tipping loads of dirt, thanks to Volvo Construction Equipment. The 11-tonne GVM tipper, with 250hp (186kW), carries around 5- to 5.5-tonne payload, which UD claims is the highest payload in the market for that type of truck. The tipper, along with the other rigids, also comes with a reversing camera and, like the rest of the UD line-up Fleet Max Plus telematics and satellite navigation. 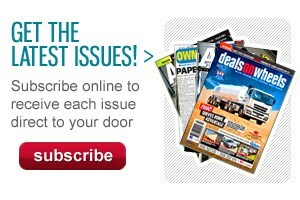 McLean points out customers purchasing a UD will receive those add-ons in a complimentary package, including insurance, up until December 31 this year. In addition, the audio system has been upgraded, including the addition of Sony 150W three-way speakers. "So if you put on one of your favourite Led Zeppelin songs and bang that baby up, the sound quality is fantastic," McLean enthuses. 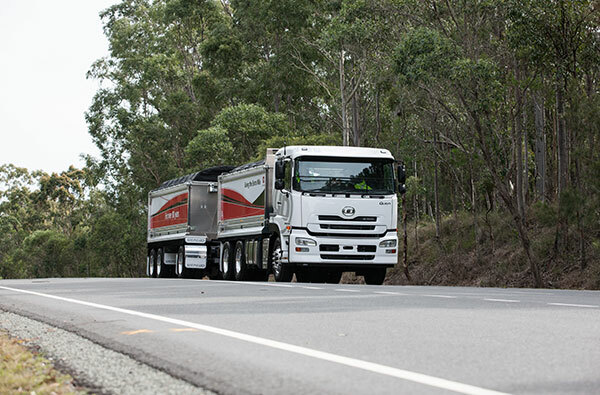 The telematics was given a workout at Mt Cotton through the Extra Mile Challenge. Each driver was handed a radio frequency identification (RFID) tag, keeping track of driving style and, most importantly, fuel economy. Chamberlin says the latest telematics system is an extension of the UD’s original package which was released in 2013. "Over the past two years we’ve spent hundreds of hours refining the reports, improving the total package. "Since then we’ve actually gone for a one-click style user portal," Chamberlin says. "We’ve tried to make it as simple as possible, so on the front page when you log in, basically the widget will provide your fast information, and you click through to your report on fuel, or violations or driver efficiency." Following the completion of the UD Trucks Extra Mile Challenge, John Murray of Origin Energy emerged as the winner, beating runner-up Clint Sheppard of DGL, and third placegetter Josh Saunders of Lee’s Liquid Waste Services.